If we were having coffee today, I would share with you my review of a fabulous new book from one of my favorite bloggers! To me there is nothing like enjoying a few moments with a hot beverage while reading a good book. Let me introduce you to Hugh Roberts, blogger at Hugh’s Views and News. Not only is he a brand-new author, fellow bloggers tell me he is possibly the nicest gentleman you will ever meet in person or in the blogosphere! You can view his book on Amazon. 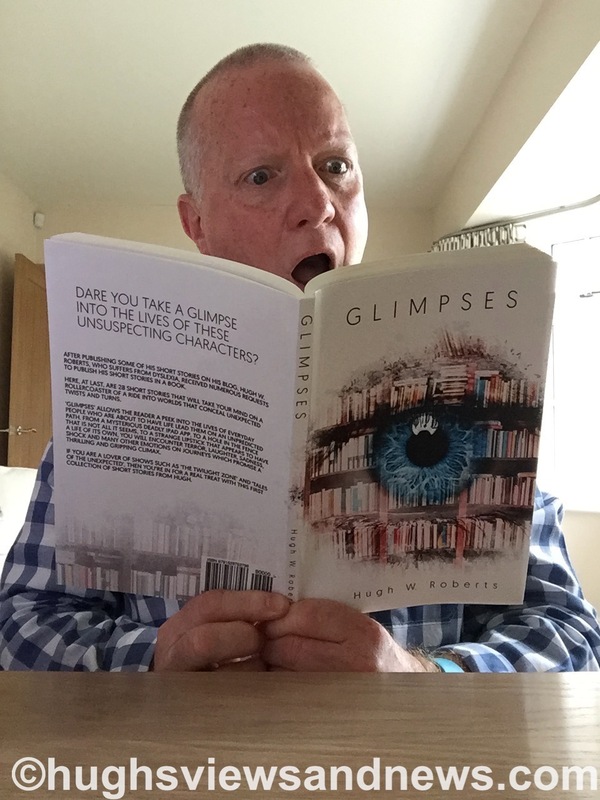 Glimpses is a delightfully twisted set of short stories inspired by author Roberts’ blog. If you follow his blog, you may recognize a few of his terrifying tales reminiscent of stories in the sci-fi genre of Twilight Zone or Outer Limits peppered with a dash of horror. 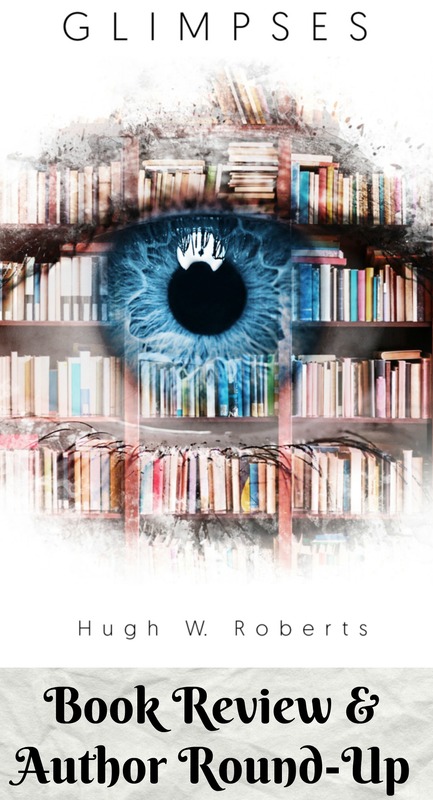 “The Truth App” is the piece de resistance in this collection of 28 stories. Roberts’ biting wit and deft tale-telling will have you reading on the edge of your…well, your reading device! A great read that will have you begging Roberts for more! If we were having coffee today, I would urge you, readers, to support your fellow bloggers’ publishing endeavors. I am proud to know a growing number of bloggers who have self-published works. Not only am I astounded by their writing abilities, but also by their encouragement of my writing as well. Many of these bloggers self-published their first book within the last year! Please stop by and visit their blogs where you will find links to their books. Give yourself or a friend a lovely holiday gift of a book. And if you enjoyed it, please leave a review on Amazon! We authors really appreciate those reviews. Join Part-Time Monster’s blog for the Weekend Coffee Share! Christoph Fischer sharing the great review for Glimpses by Hugh Roberts which Terri Webster Schrandt posted last week.. If you are looking for a last minute gift…. Hello, Christoph! I am also an indie writer, and I just, in the last month or so, joined the #weekendcoffeeshare. I must say, I love it! If you have time, please visit my blog at pamelascanepa.wordpress.com. You have so much helpful information here! I will be back to visit again.